The presence of UN troops in Haiti is to give the impression Haiti is violent and in constant civil strife of its own making. 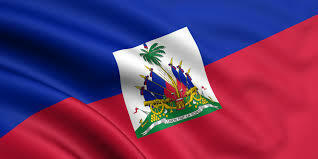 It is a documented fact that Haiti is one of the least violent nations in the Western Hemisphere. I want human rights organizations and investigative journalists to dispute that statement if it is wrong. Haiti is in constant strife only when the masses, after enduring unspeakable colonially-supported dictatorship and foreign interference, push back and mostly with peaceful civil disobedience. I want human rights organizations and investigative journalists to dispute that statement if it is wrong. The imperial bloodbath is escalating again. Because the Haitian people have, mostly with peaceful means, stopped the US-sponsored fake elections of August 9, Oct 25th and all its scheduled run-offs. They demand that Martelly leave office when his term is up on February 7th, if not before. Local stakeholders have set a transitional means for the people to hold free, fair and inclusive elections without foreign interference. But empire won’t back off, or withdraw its foul UN/PMSC proxies. It has started to pay for pro-imperialist (that is pro-government) counter protests demonstrators, spreading millions of dollars around to fabricate consent to occupation, dictatorship and fake elections. Martelly’s son Olivier Martelly is indicted on drug/money laundering charges but no media publishes this. That’s like Barack Obama’s children getting indicted and held in Russian, but it’s kept secret from the American public. My whole career, I’ve defended Haitians against the wrath of empire. I don’t want to see what the OAS, the UN and CORE group are about to do in Haiti to get their way to preserve Michel Martelly’s unilateral decrees and land giveaways to foreigners these last five years. Empire wants Haiti lands, islands, strategic position, deep water ports, rare iridium, its gold and underwater riches. They have the racist colonial narrative, billions of dollars they’ve siphon off the world’s poor they oppress and weapons to terrorize the planet. I write today to remind everyone that for five years, since 2011, Haitians peacefully demonstrated against Michel Martelly’s rule. In this last year, they’ve stopped his fake elections. Empire is livid. They won’t let go. Haiti riches are the reasons for the white men’s rapacious and deadly greed. This is why the US-EU representatives in Haiti are desperate for fake elections in Haiti to put in another Gerald Latortue or Michel Martelly replica. That Rochambeau mission is what Haiti faces under the leadership of Barack “General Laplume” Obama. I want journalists to make note of the heretofore peaceful revolution and empire’s bloodshed to come now that they’ve lost and can’t accept it. To recall that from 2004 to 2006, under another Martelly-like, US-citizen leadership in Haiti, the Internationals murdered-by-proxy, from 14,000 to 20,000 Haitian civilians. That US citizen was Gerald Latortue. A former career, UN employee, that George W. Bush imposed to lead Haiti after the United States, France and Canada had financed the Guy Philippe death squads, sweatshop king Andre Apaid, opposition NGOs and the Makout-GNBiste to create civil and social havoc in Haiti. They’re about to ramp it up again, unless the world stands for something decent and good. Spread the truth. Help the Haiti majority stop the US-EU ruling predators – the CORE Group – and their sycophants. You’ll easily recognize them. They’re dressed in sheep’s clothing and are the self-proclaimed friends of Haiti. The internationally acclaimed lovers of justice, fairness and democracy. The truth is the opposite. Always has been.